This ancient seat of learning holds many dark secrets. 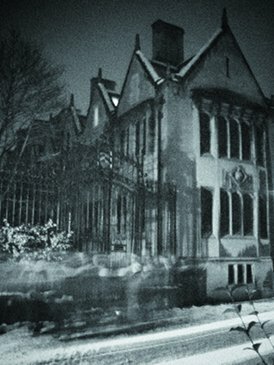 Oxford’s streets have played host to agony and horror, torment and terror. Morbid phantoms of the past stalk shadowy recesses in colleges, condemned to rehearse their lamentable ordeals for all time. The ‘Dreaming Spires’ is a place of nightmares. 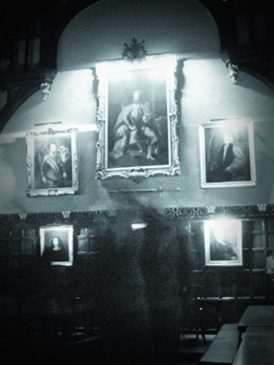 The Ghost Tours are £12.95 per adult, £11.95 for students/​seniors and £5.95 for children under 16. They last approximately 1 hour 15 minutes. All tours depart outside Trinity College gates in Broad Street. Tickets can be purchased from the guide prior to departure, or online in advance. For Enquiries and Group Bookings please call Stuart on 07790 734387 or see the booking form. You can read more about the Ghost Tour in Where even Oxford’s Tourists Fear to Tread from The Oxford Student web site, and Our Wonderful Week In Oxford (PDF 1.8MB) by Mark and Fiona Bradbury.